First of all, let’s get this out there upfront: don’t even think about spending a summer in the Salt Lake valley without hitting up a farmers&apos; market to bite into a freshly picked peach and score a robust heirloom tomato to take home for dinner. 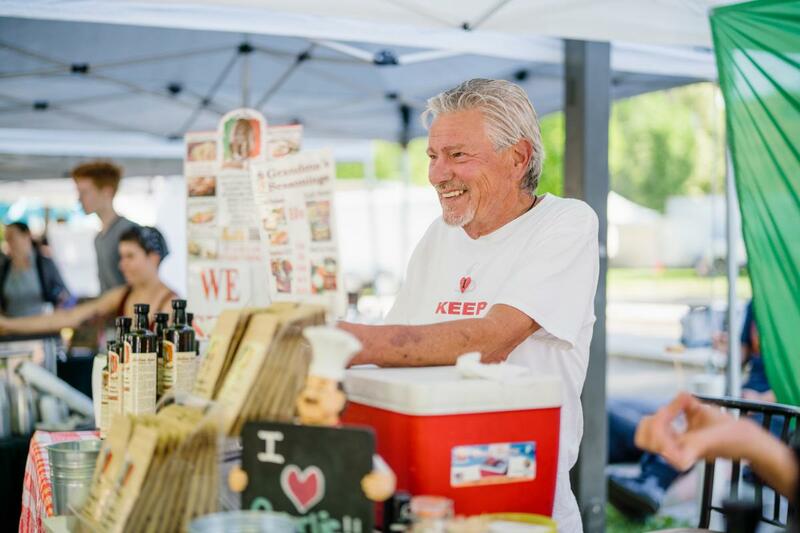 There are several excellent farmers&apos; markets that are regularly held around the Salt Lake valley all summer long (and, often, well into autumn). We’ll start with the granddaddy of them all, the Salt Lake Farmers&apos; Market, and share several others who are highly deserving or your attention and your appetite. 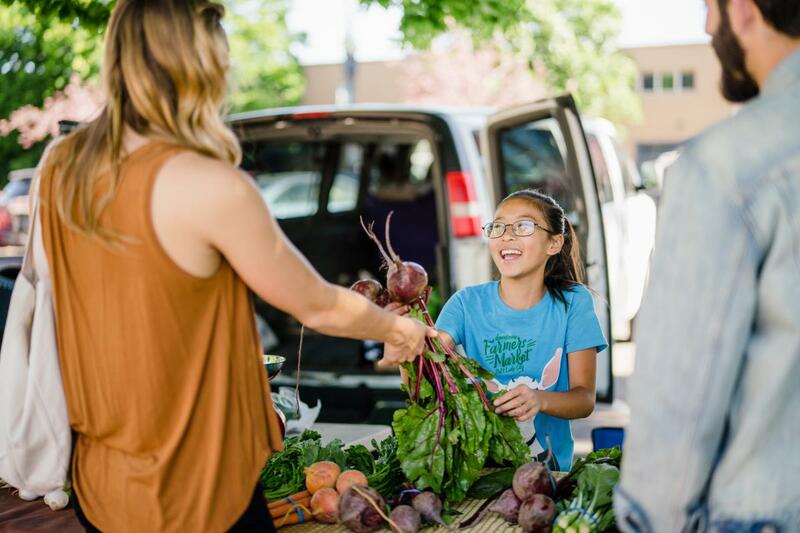 Utah’s climate is well suited for excellent produce, and buying local is a perfect way to enjoy the freshest of the fresh while shopping sustainably. Of course, the farmers&apos; markets featured here offer produce as well as locally raised meats, sauces, honeys, salsas, cheeses, pastas, and other staples. Most feature arts, crafts, and delectable food stands where you can fill up on an unforgettable breakfast or lunch. This is just a tasting platter of a few of our favorite markets around town — start by giving these a try, and we’ll see you out there. 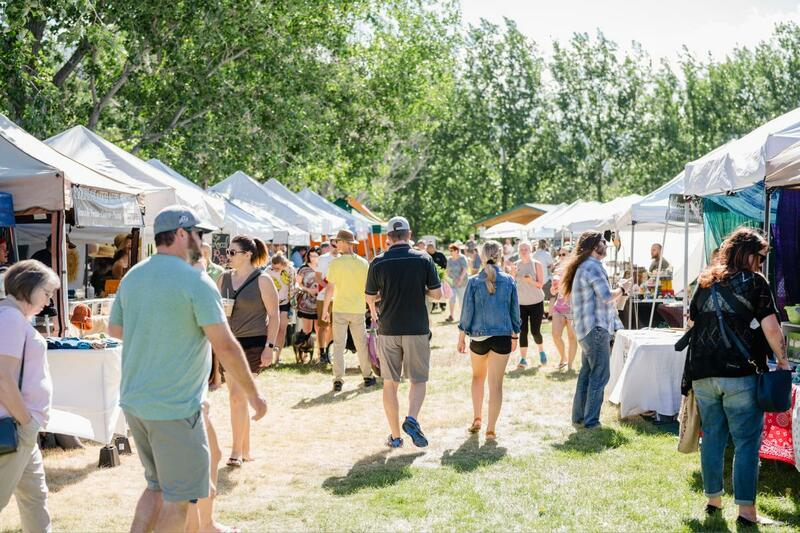 The headliner farmers&apos; market of the entire state is definitely the Salt Lake Farmers&apos; Market every Saturday all summer long in Pioneer Park downtown. The event attracts people from all over the area to shop dozens of incredible food stands. 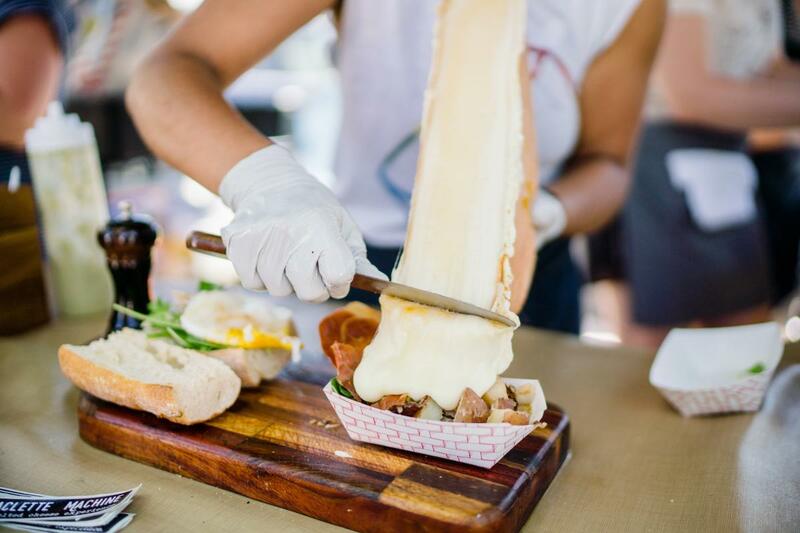 Sample the juiciest fresh fruits you’ve ever tried, pick up a packet of homemade pasta noodles, snag some salsa to go with your evening meal, and try a handful of new cheeses from locally owned dairies. 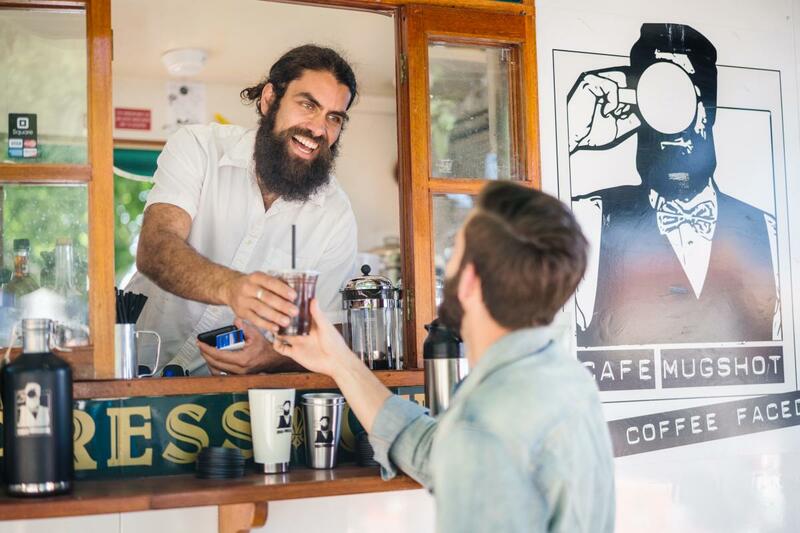 The food truck scene is off the charts, so you can try anything from wood-oven-fired pizza to empanadas, breakfast burritos, Thai spring rolls, kettle corn, or fresh-squeezed juices. After all that excitement, you’ll be ready to walk off the food coma by checking out the dozens of non-food-vendor stands on the other half of Pioneer Park. 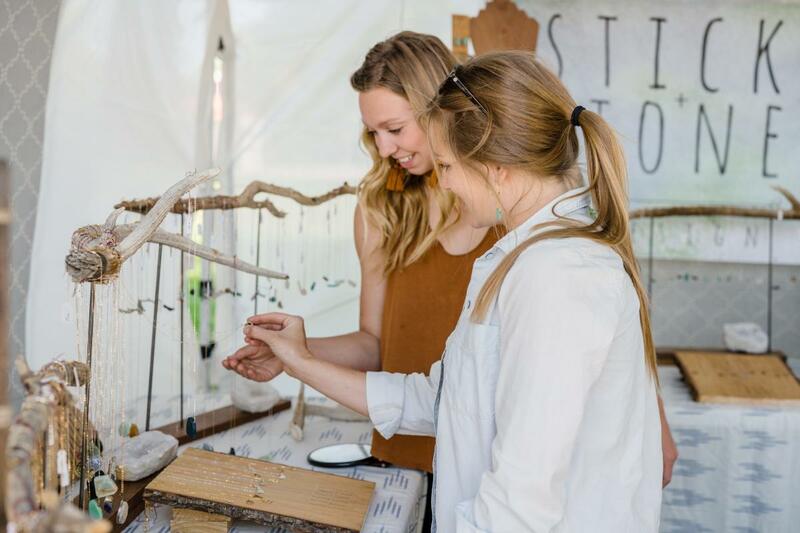 You’ll find handmade jewelry, local artwork, one-of-a-kind clothing, exquisite pottery, and even a fenced-in doggie play area. Our fair city maintains its appetite for fresh produce and seasonal goods long after summer’s end, so this winter market, held in the historic Rio Grande train depot downtown, keeps the fun going from November through April. You can find cool-season goodies like radishes, snow peas, potatoes, lettuces, and asparagus, plus locally produced eggs and meats. Naturally, you should bring your appetite as well so you can sample all the food stands and try a funky-flavored, locally brewed kombucha. In the heart of the darling walkable neighborhood of Sugarhouse, the Sugarhouse Farmers&apos; Market takes place at Fairmont Park. A mellower alternative to the bustling downtown Farmers&apos; Market, this market is perfect for families strolling in search of the perfect dinner ingredients for the week. Adults can sip a tasty local beer, while children’s activities give the kiddos something to look forward to. The colorful produce stands, fresh-baked goods, and locally made staples will give you something to nosh on for the rest of the week till you get to come back again. For years, the lively Liberty Park neighborhood saw how much fun downtown and Sugarhouse were having with their Farmers&apos; Markets. Finally, last year, Liberty decided it was high time to get in on the fun. This Friday night market was an instant success, attracting food truck vendors and produce stands aplenty. The event made the popular Liberty Park an even more attractive go-to for neighbors to enjoy on a Friday evening. After you wander the food stands for the weekend’s menu items, you can settle in on the grass with a tasty platter of food truck delights and listen to a local band entertaining the crowd. It’s hard to think of a better way to kickstart your weekend. Right in the heart of the Salt Lake valley, surrounded by suburbs, Wheeler Historic Farm has entertained and informed local kiddos for decades now. (Any historic farm that includes a playground, wagon rides, farm animals, activity barn, and tractors is pretty much guaranteed to enthrall the young crowd.) So the Sunday Farmers&apos; Market at Wheeler Farm has a special draw for families with kids. Whether or not you have little ones in tow, you’ll explore row after row of food stands loaded with fresh produce and edible awesomeness.